Great news to all my lobster lovers! 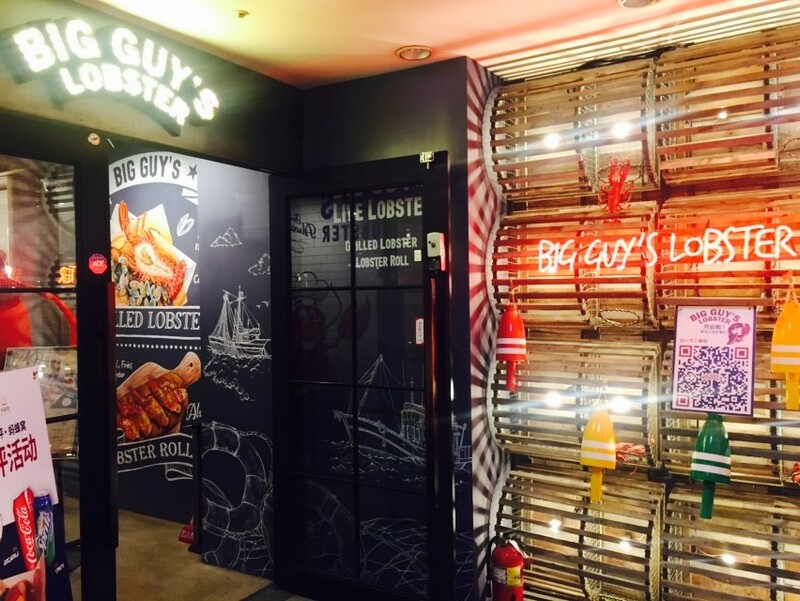 We found this super affordable lobster restaurant in the center of Myeong-dong! The restaurant is not very large but truly stylish, you can see lobster decorations everywhere. They have a giant red lobster at the front door you can take pictures with, and a tank full of live lobsters from Maine right next to the counter! 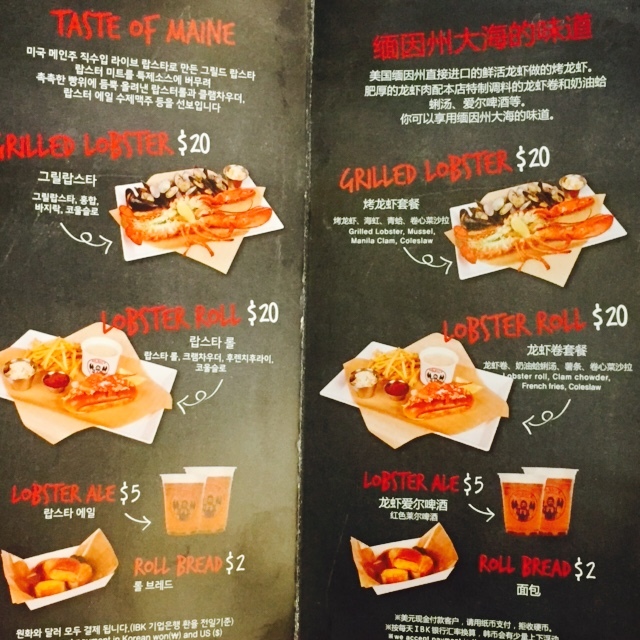 It is such a reasonable price in Seoul to taste live lobster grill! But notice they only offer 100 grilled lobsters per day, and not available for take-outs so you might want to visit a litter earlier in case they sell out. 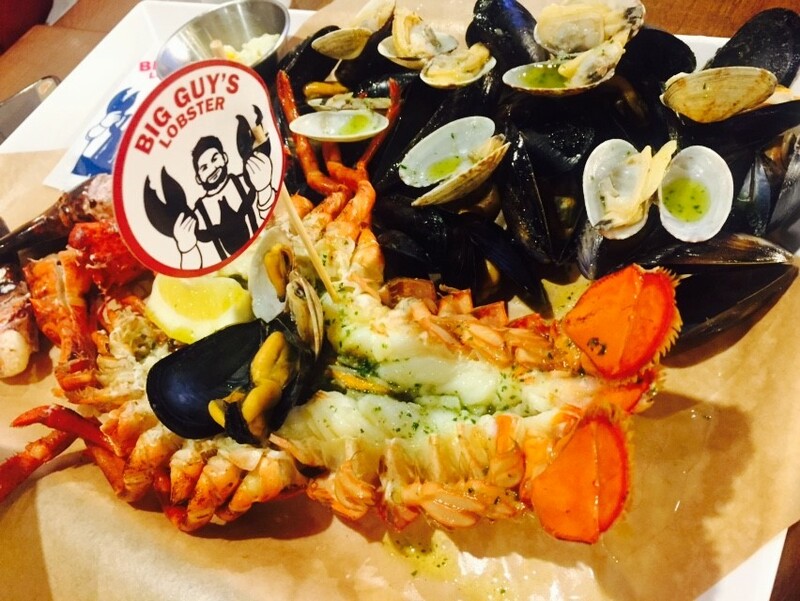 The Grilled Lobster is served alongside with grilled mussels and manila clams. Alreday cut up, the meat of lobster is really fresh and easy to shuck. You can get a whole piece of meat out of this claw! 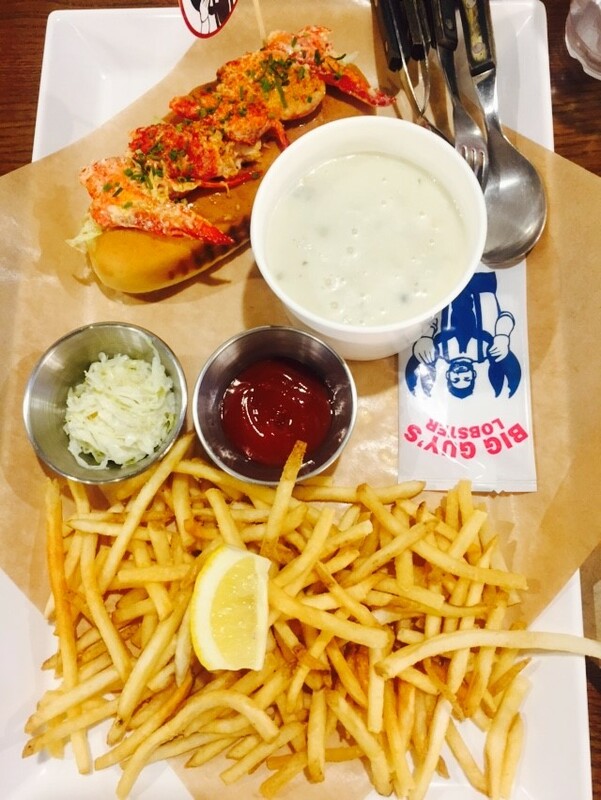 The Lobster Roll comes with Clam chowder, French Fries, and Coleslaw Salad. The soft bread matches well with juicy lobster, the sauce is also very refreshing! And another reason I love this set? Their fries are heaven! 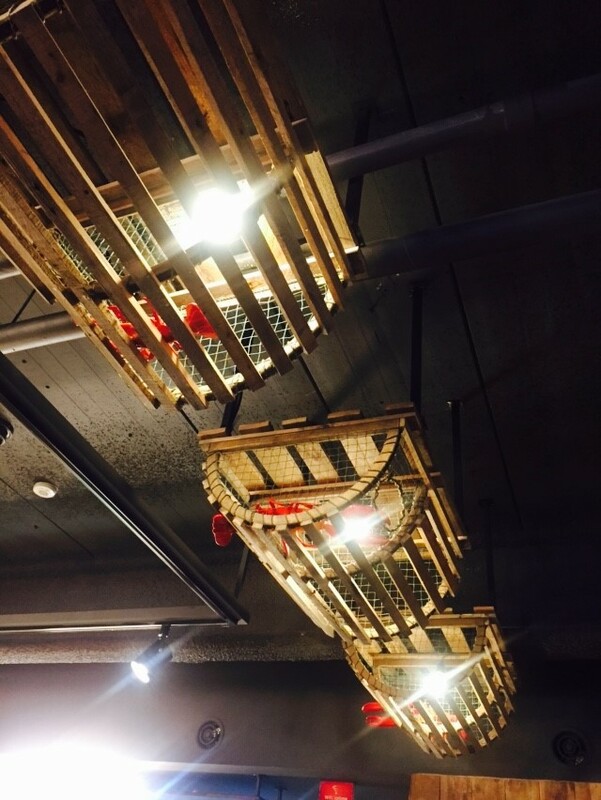 This entry was posted in BnBHero Insights!, etc., Explore REAL Korea, FOOD and tagged dining in Korea, food in seoul, Korea travel, lobster, Myeongdong, Travel in Seoul.